I outsourced the majority of instruction for my DD13-almost-14 this year. I began the process of introducing her to online classes about 2 years ago, when she was a 6th grader. I enrolled her in one WTMA course: Expository writing 1. I wanted to test the waters to see how she'd enjoy the online environment and it turns out, she really did. The following year, I added history to her online courses because I finally admitted that I just can't do history. 🙂 If I want my kids to learn history, it's gotta be from someone who gets it, and that someone ain't me! Some things I've learned along the way: If you choose to enroll your kiddo in a lot of online courses, you'll need to establish some kind of daily check-in system with her to help with time management & organization. We go through each class and discuss what's due for the week and what she plans to accomplish for the day. We do this at breakfast so she has an idea of what the day has in store for her and again at dinner, so we know what she's done and she can also start looking ahead to the next day. We also use Google Keep as a way to develop checklists so she can monitor her own work & figure out her "work blocks" for the week. (Please note that this system has been a 2-year trial-and-error process but I think we've finally figured out a system that works for us!) When we talk about what work she'll do for the day, we don't just say, "I'm gonna do science." We break it down to "I'm going to read Chapters x, y, z and do problem set 1, 2, 3." Sounds logical but I learned that the hard way! 🙂 Have a definite goal post for each day --- be very concrete about your definition of "done" because I've found all too often that *my* definition and *her* definition of "done" are vastly different. Expect lots of mistakes in time management along the way. It's par for the course. I've had to remind myself many times that often, the late night suffering toward a deadline is sometimes the best way to learn time management! I'm happy to report that DD has learned that lesson --- she often opts to work on some of her assignments each weekend because she knows she can get a lot out of the way on a Saturday or Sunday afternoon! You'll definitely want to balance the courses so that not every single class is output-heavy. (I also learned this the hard way.) Figure out which courses you want to hit hard and then find classes where your kiddo can still learn a lot through discussion. For example, I've got my kiddo enrolled with Open Tent Academy's All About Essays for next year --- where she'll write an essay every 2 weeks. I'm balancing that with Online G3 history, which is known for being input-heavy but not output-heavy. Finally, you may want to consider a balance between live & asynchronous instruction. We did all live classes this year and the schedule nearly killed us. Plus DD got really sick at one point and was looking at 4 missed classes plus all the work that goes with them. It took us about 3 weeks to recover from that 1 week of being sick. All the live classes also killed our opportunities to do field trips & take random days off. Next year, we've got some asynchronous classes in the mix to give us a little more leeway with instruction time vs. free time. As for providers (for middle schoolers), I've had good experiences with WTMA --- Mattias Caro for history, in particular. WTMA courses have a lot of required output so keep that in mind. Open Tent writing with Eva Goldstein --- she's fantastic and is very understanding if something comes up & your student needs an extension. Samantha Star at Open Tent does a lot of their science & psychology courses --- my daughter really liked her, too. I've heard many good things about Online G3 --- we're signed up for some literature & history through them for next year. Athena's Academy is another provider that might be a good fit for a middle schooler. Unfortunately, none of the providers I've mentioned (save WTMA, I think) is a one-stop shop. DD switches between 2 or 3 different platforms to attend her various classes and she's been fine with the technology of each one. Good luck with your decision! Hope you find something that works! My DD13 took Student Writing Intensive, Level B through IEW's online class. They used the SWI-B DVDs for most of the instruction, so I can tell you a little bit about that. The SWI-A DVDs will have a similar structure --- I think the main differences might be in the pacing (SWI-B is designed for middle school students so will go faster than SWI-A, which is geared toward upper elementary students) and source materials. The DVDs are videos of Andrew Pudewa teaching the material to an actual class of students. Theoretically, the kids should be able to watch the video and then do the assignment. The lesson plans are quite detailed, telling you when to start/stop the video (students rarely watch the full 40 minutes in one sitting) and which source texts to assign, etc. There are checklists for each assignment to help students keep track of what they need to incorporate into their writing; these checklists also help the teacher check that the writing techniques were included! Andrew Pudewa, by the way, is an excellent teacher! I really like his style --- he's engaging while imparting a ton of great info to students. He takes students through the whole process of developing outlines and writing sentences, so he demonstrates the skills your kids will need to learn from beginning to end in each lesson. He has, of course, an enthusiastic classroom of kids, but still...it's nice to see how he works with the suggestions that the kids give him and how he gently guides them toward better word choices. He's definitely not boring. (DD far preferred to watch the DVDs than attend her online class! She said she learned more from the DVDs than class, too!) I really like the IEW system of writing because it is so scaffolded. The way they teach writing is almost like a recipe. By following the system, my DD has learned to write some pretty spiffy 5-paragraph themes and she's even spontaneously using more varied vocabulary and sentence structure in her rough drafts. For reluctant writers, it could be very helpful because the early lessons teach the students how to take notes to create an outline. The outline then becomes their "road map" for writing complete sentences. The checklist then guides them through the revision process. So, there's lot of hand-holding to help kids who maybe aren't confident in their writing. In my DD's case, her writing was fine but it was really dry. Lots of subject-verb constructions that used the blandest words available. Because of IEW, she now loves going through the thesaurus and playing around with different ways to say something. You mentioned using WWE and wanting something less structured. I used WWE (or maybe it was WWS?) prior to using IEW with DD and I found WWE didn't give her enough structure! If you don't want structure, then you won't like IEW because there are lots of checkboxes to check. What I found was that WWE gave my kiddo the basic idea of how to put together different types of pieces (description of a historic event, narrative of a scientific discovery, etc.) but it didn't teach her how to write it with an interesting voice. It also didn't teach her how to organize her thoughts. IEW gave her those missing pieces, which is why we've stuck with it for 2 years now and will be doing our third next year. DD took her first IEW class through IEW's online classes. She didn't enjoy the class, mostly because she had a teacher who was new to teaching online. As a result, there were some class management issues that diminished her enjoyment. This year, she's taking IEW-style lessons from Eva Goldstein, who runs Open Tent Academy and she loves it! She will continue taking writing with Eva next year. So, I'm sorry I can't speak to what it's like to actually teach the lessons myself. However, I can say that after watching a few of the DVDs with DD, I felt comfortable helping her with her assignments and walking her through the revision process. Hope this helps! Wow...course descriptions. My oldest will be starting 9th grade next year, so I'm trying to learn all I can about what goes into the college app! I have a question for you... If your child completed a high school level class before 9th grade, do you include that class in your course descriptions? A while back, I had posted a question about whether or not to include my kiddo's summer math on her transcript, and in the many helpful replies I got, Mom0012, you gave an example of your daughter's math sequence where some classes were completed in 6th-8th grade. So, did you include those with your course description or only the courses that were done in 9th and up? Thank you! I had no idea this program existed! Will definitely keep it in mind for other volunteer plans -- DD also plans to volunteer at a special needs performing arts camp. The challenge for her art studio, I think, is that they are a for-profit entity. Not sure if they would be able to qualify as a certifying organization. But they might, since they also teach classes there. I'll forward the info to them to see. Thanks for the tip! Lori, I wish I could download your brain into mine! 🙂 Thank you! Hi all, DD takes a glass art class at a local art studio and has really taken to it. Her teacher will be offering camps this summer and has invited DD to be her assistant during the camps. However, to comply with child labor laws (because DD will only be 14 when the camps occur), she said the studio would only let DD assist through an internship. The studio is willing to create the internship but they have never done something like this for a high school student. So, has anyone out there ever created an internship for their kiddo? Can you recommend any good resources? Or are there any existing internships for high school students that you can point me toward? We just want something that we can use as a template. Thanks! I've tried both WWE (or was it WWS?) and IEW with my DD13. What I found was that IEW worked better for my kid because she doesn't have a naturally interesting voice when she writes. (Think: All sentences were subject-verb. Not a lot of multisyllabic words. Lots of "to be" verbs, etc.) IEW forced her to vary sentence structure and choose more interesting vocabulary to convey her thoughts. It also taught her to structure her thoughts so that she had an actual topic sentence in each paragraph. 🙂 WWE/WWS gave more general guidelines on how to write for different purposes. "Here's the info you need to include for a scientific description." "Here's how to write a narrative of a historic event." I found she could follow the structure but her writing was boring. That said, I have a friend whose kids are avid readers and have developed pretty decent voices. They prefer WWE/WWS because they don't need the scaffolding with language. My younger, DS10, has autism-related language issues. IEW has worked very well for him because he responds well to checklists and to the use of key word outlines. This is a kid who, when I began homeschooling him, couldn't narrate back a single sentence. And now, using IEW's key word outlines, he can narrate a full paragraph. I also dabbled with Bravewriter, and while I love the concept, I had a difficult time implementing it because *I* needed more hand-holding in the teaching. But I greatly admire the folks who can use it because I imagine their homeschool days are filled with some really cool reading & writing experiences. Just my 2 cents. 🙂 Good luck with the search --- there's so many great options out there. It's a matter of finding what matches your kids' learning styles and your teaching style. You might also want to check out A Mighty Girl (https://www.amightygirl.com/blog). They often list books that feature amazing women in history. I've enjoyed using Trail Guide to World Geography (http://trailguidetogeography.com/trail-guide-to-world-geography.html). It is a complete curriculum but you don't have to use it that way. I particularly liked the daily trail guides, which are quick & easy questions that introduce basic research skills, like how to use an atlas. There are also map activities. The program comes with leveled questions & activities so you can scale it to be really involved for older students or "just a dabble" for younger ones. Example: for older students, they can research animals of a certain country; for younger students, they can just identify where the country is on the map & name its capital. Disclaimer: I didn't get all the way through it with my older one when I first used it (she was a 5th grader then) and I am only 2 units into it with my younger one (a 4th grader). So, I haven't used the program as thoroughly as others on this board might have. That said, I like the program because it teaches students how to find information from various sources. I believe if you purchase the program (which looks to be about $19), you get all 3 levels so you can tailor it to your kids. If you have an amazing writer and stuck with the SAME writing program-what was it? I wouldn't say my kids are amazing writers but they are definitely solid writers. Older kiddo (8th grader) is in her 2nd year of IEW writing. She did one year of WWE through WTMA, too. I will say that IEW has done wonders for her. It really breaks down the writing process, giving students a framework within which to figure out their writing. Both my husband & I have been really impressed with the quality of writing she has produced. Her ideas are more organized, her sentence structure varied, and her word choice improved. She did her first year of IEW (SWI-Level B) through IEW and then her second year with Open Tent Academy (the teacher is IEW-certified). Love it! WWE was ok but it seemed to be geared more toward kids who already have a decent voice & organization in their writing. That wasn't my kid. 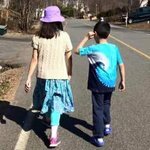 My younger kid (4th grader) has autism and reading comprehension has been difficult for us. Still, using the IEW method, I've been able to get him to narrate paragraphs and add in some "dress ups." It's slow-going but he is capable of writing a decent paragraph despite having expressive language disorder. I credit this entirely to the scaffolded approach of IEW. For his lessons, I use the smattering of IEW methodology that I learned from TWSS and apply it to his reading lessons. Hope this helps! Good luck with your decision! My dad collected fountain pens and I remember having to go with him to *pen* shows! Talk about variety! Who knew there were pen enthusiasts? But there you have it.... I am amazed at all the little details about writing instruments — but it’s really cool when you can tell the difference! Some pens really are nicer to write with! Have fun with the research and the samplers! I like the site jetpens.com. They have blog posts that compare different pens - fountain pens, gel, roller ball, etc. I’m sure they can at least get you started on finding a decent set. Have fun with the search! I’ve enjoyed learning about all the nuances of pens & ink! Thank you so much, kbutton and Peter Pan, for your replies! They’ve given me good food for thought and feelings of “Whew...I think I’ll (he’ll) be ok!” I love the idea of using videos & documentaries. I’ll have to do some research on that. And Peter Pan, I’ve been using V&V with great success with my kiddo. I pair that with IEW’s writing program, which has been super successful for us. Thank you for the encouragement!! !